A venture into Advanced Vehicle Technology is never out of reach. Choose from one of our preferred financing partners to receive the funding you need for your FutureTech solution. Click on each option below to see how you can get started. Advantage+ is an equipment leasing company that serves businesses throughout the country. Most loans range from $2,000 to $200,000. They’re a direct lender, not a broker—this means they self-fund and loans stay in-house. Most new loans come through equipment manufacturers, distributors, and dealers that use Advantage+ financing to help customers buy equipment. About 40% of Advantage+ loans come from existing or previous borrowers, and a growing number of requests come directly from borrowers. The lease may be paid off without penalty after 12 to 18 timely payments. The lessee is only responsible for the remainder of the equipment cost if all payments are made on time. To make things even better, lease payments may be tax deductible (Section 179), reducing the cost of your lease. Leasing also helps you avoid the Alternative Minimum Tax (AMT), reducing your AMT tax liability. Select the equipment you need. Submit the application via fax, e-mail or through their secure website, www.advantageleasing.com. An Advantage representative will call to ‘meet’ you and to discuss various lease options to best meet your needs. Usually the same day, they will complete their underwriting process and issue you a commitment to finance if you are approved. Upon your acceptance of the commitment, they will email or fax the lease documents. At this time, they will request an invoice from your equipment vendor. Upon receipt of the signed original lease documents they will issue a purchase order or pre-fund the equipment vendor for delivery. A check is mailed to the vendor once the installation has been completed. More information about Advantage+ can be found at their website, http://www.advantageleasing.com. You can even calculate your monthly payments! More information can be found here. Application Only Financing: Financing with little credit information and no financial statements. Most finance lenders & banks require financial statements and/or blanket liens on your business. In most cases Brickhouse can get from $10,000 to $250,000 with just a 1 page application form. With a One-Page application, businesses can usually obtain up to $150,000 in financing, within 24 hours. A simple credit evaluation is conducted using commercial and personal credit bureaus depending on the size and ownership structure of the business. 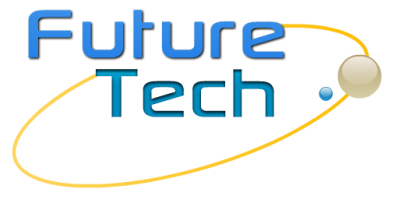 FutureTech Auto (FTA) offers two term payment options to support NxtGen Solution Purchases. These options provide customers an alternative to leasing or other lending possibilities available in the market. Options include a 6-month/3 payment plan (OR) 18 month/18 payment plan. For detailed information regarding these FTA options please contact us.